The o-rings are molded from a 70 durometer ethylene propylene diene monomer (EPDM) rubber compound that is fully compatible with automobile brake fluid. The piston load springs are made from type 302 stainless steel and feature squared and ground ends. The switch actuating plunger has been custom made in natural-colored nylon 6/6 by reverse-engineering an original plunger. 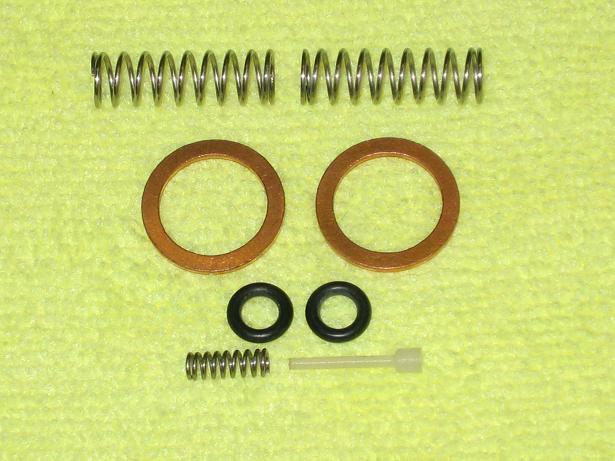 The switch actuating spring has been custom made from type 302 stainless steel by reverse engineering an original spring. All parts are made right here in the USA!